What is the Year from Jahannam? BUY THE eBOOK ON KINDLE FOR £1.53! 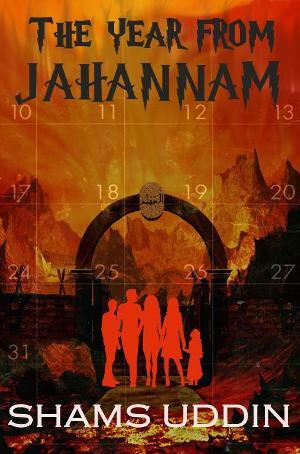 The Year from Jahannam is a book written by Shams Uddin based on the online blog series of the same name by the Wright family from Ealing, London. Follow the Wright family online blog throughout 2011 as their almost perfect life descends into Jahannam, a living hell from which they are left totally helpless, hopeless and in a constant state of fear. The family are startled when household objects inexplicably move by themselves; when strange noises can be heard at night and even when a dark figure was seen in one of the bedrooms. However when their pet cat disappears, their new car is stolen and their house is broken into and trashed, the family cannot simply put this down to bad luck.